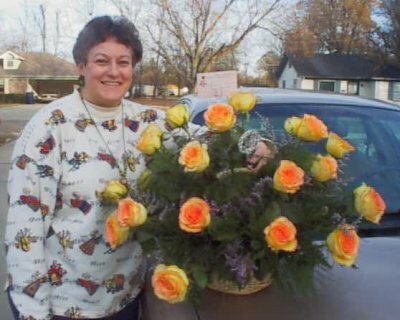 The picture above is me showing off my roses I received on my 25th wedding anniversary, Dec. 7, 1999! As you can see by the smile on my face, I was thrilled! Please be patient as all my beautiful graphics take time to load! I think you'll enjoy what you see! P.S. 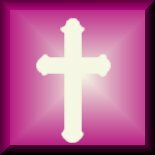 If you enjoy visiting some of the links on this page (which will take awhile) then visit my other Christian page! You'll find it in the table on down the page! There are lots of pretty graphics there too! You can click on that box when you see my table on down the page! 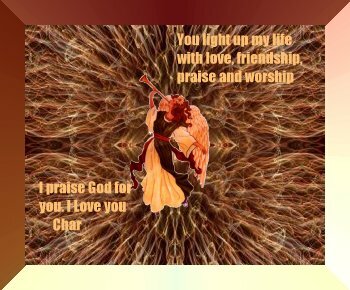 The beautiful scripture-based graphic above was created by a sweet friend, Julie, who is very creative and designs her own graphics here in the small town where we live! Thanks for adding a special touch to my webpage, Julie! 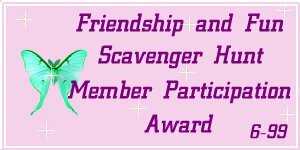 The Friendship and Fun group I'm a member of sponsored the scavenger hunt in early June '99, and it was a lot of fun! I was thrilled to tie for 1st place! The button above was designed by a friend, Janet, who has started a group called the " I believe in Jesus" group on the internet! Thanks, Janet, for this ministry! Charlotte, a lady in Tennessee, created and sent this gift to me to add another bright spot to my page! Thanks, Charlotte, for the beautiful gift and your gift of friendship! 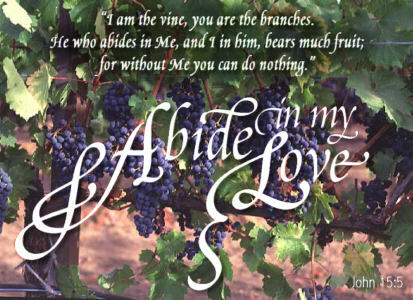 The Anointed Christian Links banner below will take you to many inspiring pages designed by fellow believers! The pages are arranged alphabetically, and HandsandHearts4HIM is proud to be listed with this fine group! Visit, and you will be glad you did! You will receive many blessings! If you'd rather visit my other pages before exploring the links, scroll to the bottom of this page where you'll see a table. There's a lot more to see, and you'll find out a lot more about me. My "other" pages are linked there! 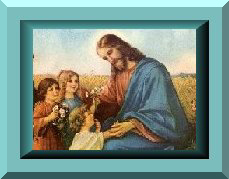 My prayer is that you'll see something that touches your heart the way the Lord Jesus Christ has touched mine! Please sign my guestbook too! I'd love to hear from you! 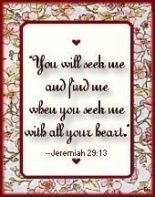 PrayerWarriors4God is a large group of friends who've formed an intercessory prayer group over the internet! If you have a special prayer request just click on the graphic above, and it will take you to our site! We know prayer changes things! 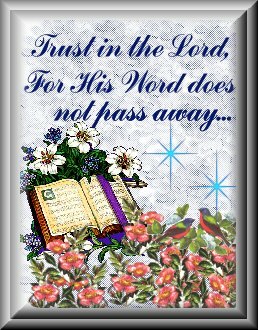 A few years ago I lost a good friend, Dewey, due to a brain tumor, and this was a scripture special to him. "For to me to live is Christ, and to die is gain." Phil. 1:21 Dewey accepted Christ as his Lord and Savior not long before his terminal illness was discovered, and although he suffered greatly before his passing he mentioned this scripture often. Dewey is now at peace, free of pain in a beautiful heaven we look forward to seeing one day too. I thank God for leading Dewey to the Lord and blessing my life with his courage and friendship! 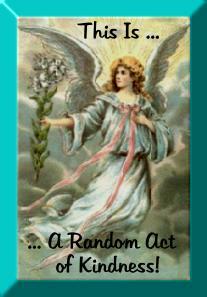 The Random Acts of Kindness group would love for you to visit their site, so please click on the name of the group. You will be taken to this wonderful site immediately! I have a lot of fun visiting other people's web pages, and I've learned a lot about designing web pages from studying the beautiful pages that are out there just waiting to be shared with all who enjoy the computer as much as I do! I can honestly say that a few years ago I never thought I'd get interested in this "toy", but once I did there's been no turning back! I've made a lot of long-distance friends, who I may never meet on this earth, but one day we will meet, just as Jesus promised, right? The above recipe should be easy to follow! In fact, it's guaranteed to please all who try it! The Garden House is a large group of ladies who share the bond of friendship and their web pages with all who visit them! Take a little trip to The Garden House,and you'll want to go back time after time! Are there anymore Web-a-Holics out there? Let me hear from you! My family thinks I spend way too much time on this computer! I'd really like to get some mail in my box! Let me know you dropped by for a visit. I promise to respond to all mail received! Please send email if you find any links not working properly.